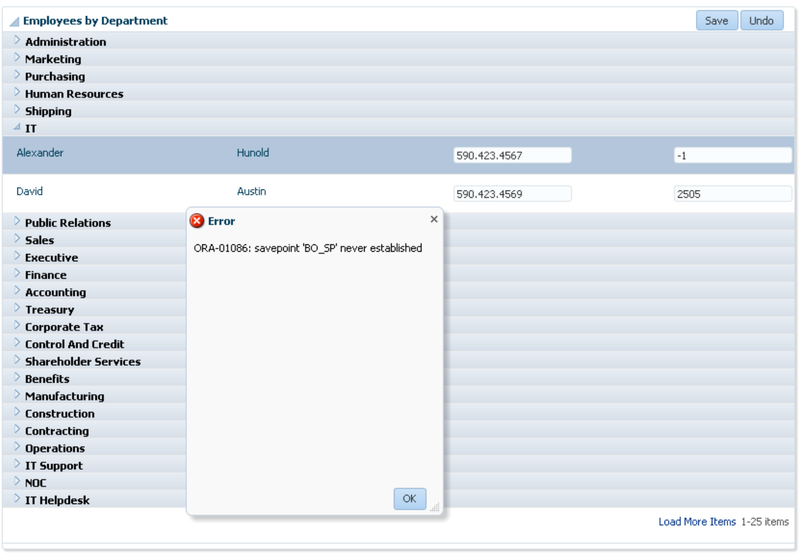 It seems like there are differences running same ADF application on WebLogic and on Glassfish runtime. These differences are minor but could cause some headache to the developers. In this particular case, I would like to describe ORA-01086: savepoint 'BO-SP' never established error. 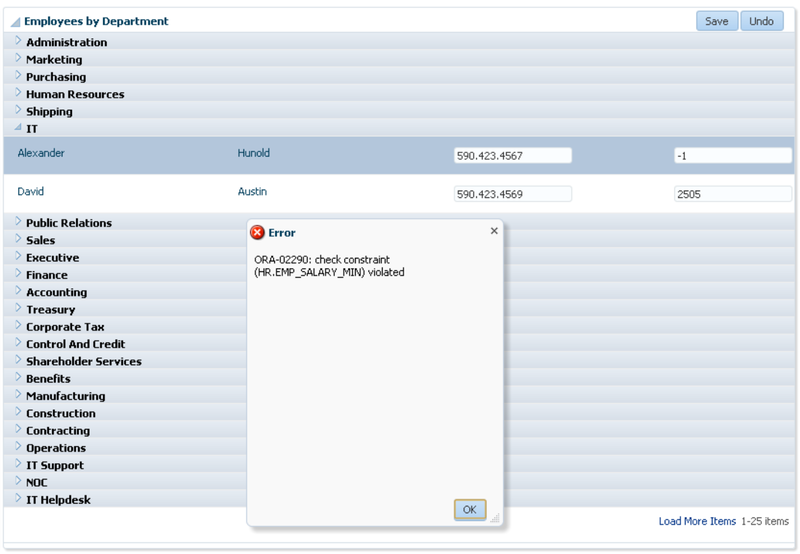 Typically this error could happen, if PS_TXN table is unavailable. 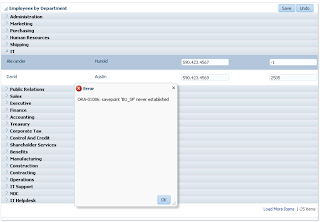 However, this is not the case with ADF Essentials 12c - PS_TXN table exists and application is able to access it. 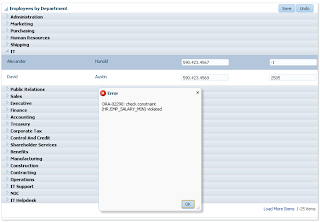 'BO_SP' error is generated when DB constraint is triggered, instead of returning DB error message - ADF Essentials 12c displays ORA-01086: savepoint 'BO-SP' never established error. 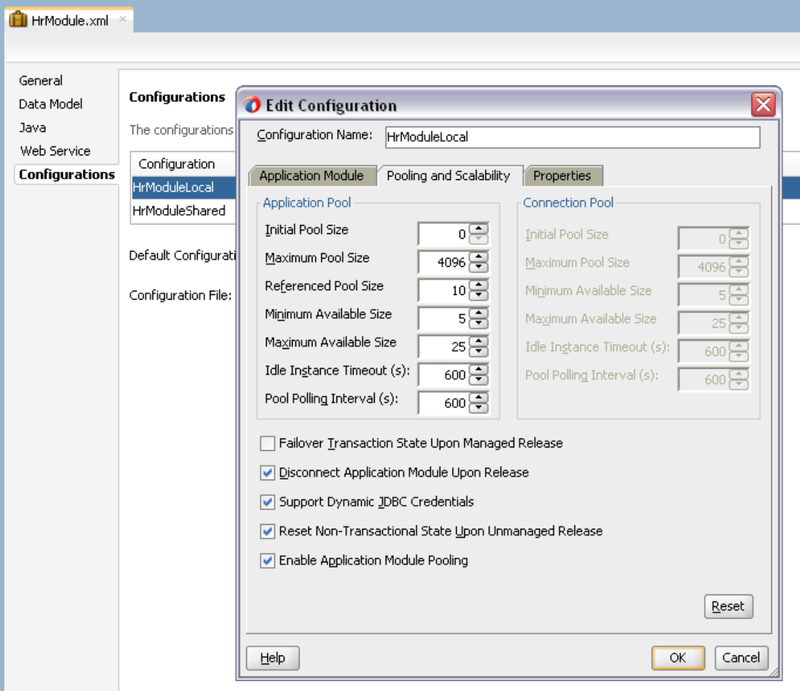 This is recommended setting for ADF BC performance and Data Source connections usage optimization: Stress Testing Oracle ADF BC Applications - Do Connection Pooling and TXN Disconnect Level. Is hard to say why exactly setting DB pooling fixes 'BO_SP' error for ADF Essentials 12c, I guess is related to DB driver used in Glassfish. With DB pooling enabled, DB connection is released after request - perhaps this allows to avoid rolling back transaction to BO_SP and in turn fixes the error. Download sample application - ListViewAppEssentials.zip. 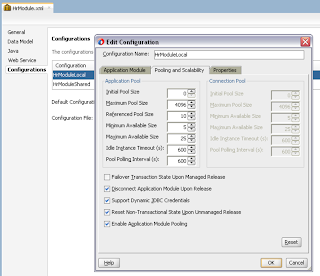 We are migrating our application to ADF Essentials 12 in Glassfish 3.1.2.
when we use two AM's. Yes, I will need to test that. I solved the problem of the multiple commit in Glassfish 3.2.1, in my task flow train, where I need perform the commit in every train stop (because in jdev 12.1.2 sometimes lose data from the pages in mozilla firefox). //ORA-01086: savepoint 'BO-SP' never established error.